A woman in traditional Indian clothing teaches children about her home in India. She points to a globe as children gather around her and look on. 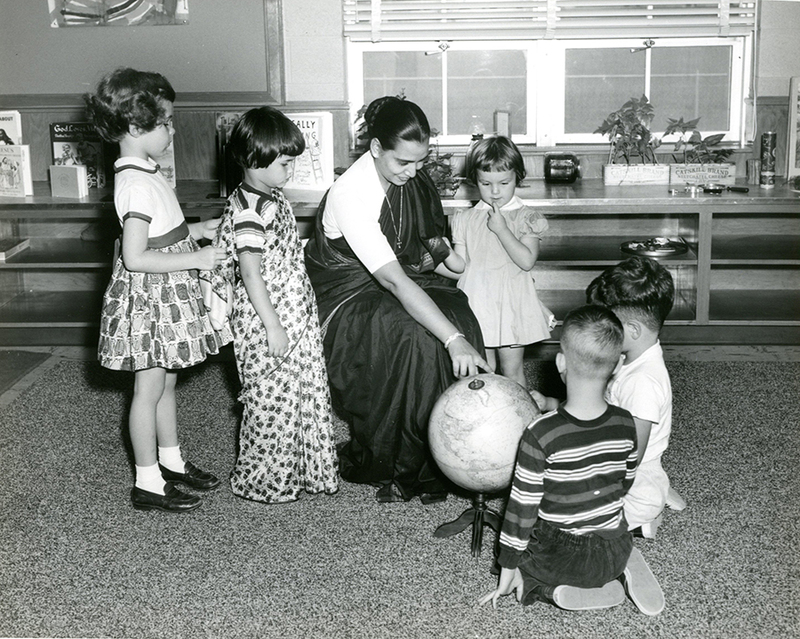 Dementi Studios, Richmond, Va., “A visitor teaches children about her home in India, Josephine Newbury Demonstration Kindergarten, Richmond, Va.,” Social Welfare History Image Portal, accessed April 24, 2019, https://images.socialwelfare.library.vcu.edu/items/show/220.